Michelle first touched down on her mat back in 2010 and has been infatuated with yoga ever since. What drew Michelle in was the physical challenge, however she never expected the individual transformation she’d have, and the continuous personal lessons she grows from since yoga integrated effortlessly into her life. In 2015, Michelle completed the PLAY 200hr Teacher Training course, and started teaching the day her certificate arrived. 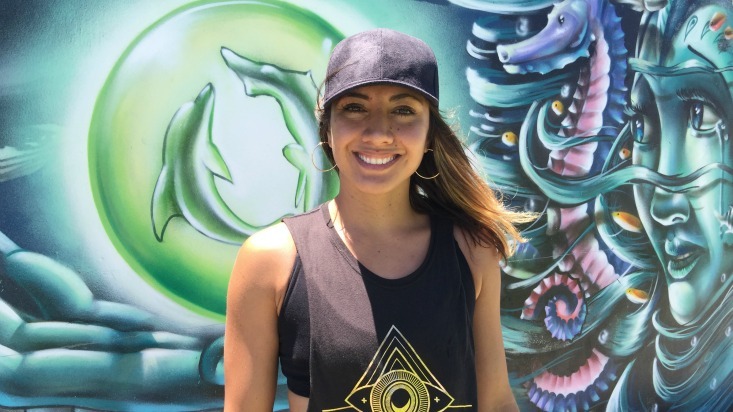 Michelle loves sharing her high energy teaching Hot Yoga and Vinyasa, and when she’s not teaching or practicing, she’s bending over backwards for her family – a hubby, two young kiddies and their dog Tequila. Michelle finds inspiration is on tap through parenthood and saying yes to new life experiences instead of over-analyzing them. I love half pigeon. I just love getting right into those hips whilst I shut off to the world in my arms. Being pregnant. Observing my body transform and grow a human was the most profound thing. It was mostly being tuned-in to the signals the body gives especially once the baby’s out. I knew from then on that this miraculous vessel needed much more credit than I had ever given it credit for.